[Video] PAWS vs Another Zoo: Where can Bamboo and Chai thrive? PAWS sanctuary or Oklahoma City Zoo? A chart. Friends of Woodland Park Zoo Elephants has updated our mission. We continue to work for the release of Bamboo and Sri to an accredited sanctuary. These elephants were housed at Woodland Park Zoo but have since been transferred to other zoos and ownership turned over to the zoos in which they reside. Seattle, WA (July 10, 2017) – Friends of Woodland Park Zoo Elephants (Friends) is calling for King County voters to reject Proposition 1, a ballot measure to be decided in the August 1 primary election. This measure would raise over one-half billion dollars for arts and cultural programs by increasing the retail sales tax. The sales tax is recognized as a regressive tax that hits lower income households the hardest. “This measure would be a bonanza for large and wealthy organizations that don’t need taxpayer support—including the Woodland Park Zoo, an organization that has already received over $177 million in taxpayer subsidies by Seattle and King County residents,” said Alyne Fortgang, Co-founder of Friends. Friends was created to advocate for humane treatment of the zoo’s elephants and to encourage the elephants’ relocation to an accredited sanctuary. 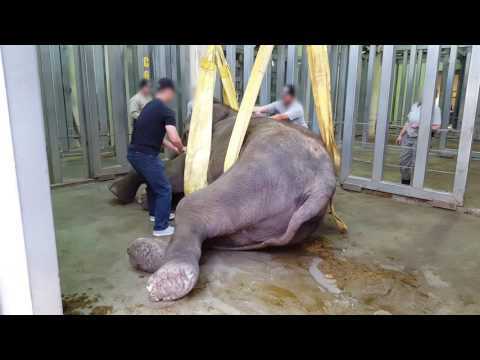 Woodland Park Zoo did relocate elephants Chai and Bamboo in 2015, but to the Oklahoma City Zoo, an even worse zoo for elephants. Chai died within only eight months of arriving in Oklahoma, allegedly from substandard care and negligence. Bamboo survives, but as a victim and aggressor, incompatible with other elephants at the zoo and suffering from chronic health conditions. “We urged the King County council to exclude the zoo as a recipient of funds from the measure. With millions of dollars in reserve and heavily subsidized already, Woodland Park Zoo needs no more taxpayer support” said Fortgang. “However, Proposition 1 will make the zoo eligible for tens of millions of additional taxpayer dollars while higher priorities like affordable housing, roads, homelessness, education and other human services desperately need funding.” Furthermore, if passed, none of the funding would go to improve the animals’ quality of life in the zoo. With the recent birth of a giraffe at Woodland Park Zoo (WPZ), it has never been more evident that it is time for the zoo to move out of its 19th-century vision of exhibiting a menagerie of wild animals in cages and tanks. It needs to embrace a new vision fueled by innovation and community ethics. We call on WPZ to become an accredited 21st-century sanctuary zoo dedicated to caring for needy, mostly local wildlife and inspiring zoo visitors to conserve the wildlife and wilderness that remains. Why is a radical re-imagining of the Seattle zoo necessary? Our baby giraffe will spend a lifetime on display in a tiny and tedious exhibit. She will never have a home range (up to 250 square miles), a dynamic natural social life (including membership in a herd of dozens), nor the experience of living in an environment teeming with diversity. It goes without saying she will never run 35 miles per hour, anywhere, for any reason. Life in the zoo’s giraffe exhibit will frustrate every natural instinct born in her. We know this because “Wild animals, even if they’re born in captivity, retain all their natural instincts…,” says Wayne Pacelle, CEO of the Humane Society of the United States. Read the full op-ed in the Seattle Times here. Press Release: Oklahoma City Zoo tops list as worst Zoo in U.S.
Seattle, WA (January 11, 2017) – In Defense of Animals chose The Oklahoma City Zoo (OKC Zoo) as the worst zoo for elephants in the United States in 2016. OKC Zoo earned the top spot based on its miserable record of elephant disease, aggression and premature deaths—as well as its irresponsible elephant breeding program. In 2015, OKC Zoo and Woodland Park Zoo (WPZ) rejected the will of Seattle’s residents, City Council and Mayor when Bamboo and Chai were moved to OKC Zoo instead of an accredited sanctuary. Friends of Woodland Park Zoo Elephants (“Friends”) warned OKC Zoo about Bamboo’s aggressive history and incompatibility with other elephants, as well as Bamboo and Chai’s exposure to the to the deadly herpes virus that killed Hansa, a young calf at WPZ. Chai died only eight months after arriving at OKC Zoo allegedly due to substandard health care and negligence. She wasted away, rapidly losing 1,000 pounds, and suffered from an infection in her bloodstream likely caused by 25 puss-filled abscesses—all of which went untreated. Given Bamboo’s chronic health issues and incompatibility with the other elephants, her continued residence at OKC Zoo has little rationale. It is not too late for OKC Zoo to do the right thing by allowing her to heal and live in peace at an accredited elephant sanctuary. Video obtained through Oklahoma Open Records. Seattle, WA (September 21, 2016) – Today, Friends of Woodland Park Zoo Elephants (Friends), a Seattle elephant advocacy group, filed a complaint with the U.S. Department of Agriculture alleging that the Oklahoma City Zoo (OCZ) may be in violation of the federal Animal Welfare Act for housing incompatible elephants together. Friends has grave concerns for the health and safety of Bamboo, who was moved to the OCZ from Seattle’s Woodland Park Zoo in 2015, as well as for the other elephants housed at the zoo. Zoo records show that Bamboo has been the victim of aggression from the other elephants multiple times since her arrival at OCZ. They have repeatedly attacked Bamboo’s tail and in March a bite amputated about two inches. Another attack caused a six-inch gash on her trunk. Bamboo also suffered from other unexplained conditions such as edema on her abdomen, skin abrasions and fissures, and swelling above one eye—any or all of which could result from attacks. Because the elephants are confined in a tiny, hot-wired yard, they don’t have the space or ability to escape from potential attacks. An elephant at San Diego Safari Park was killed by another elephant and on at least one occasion an elephant was killed by another at Toronto’s Zoo. Bamboo has also shown aggression toward the other elephants. In May she pushed two-year-old Achara under a hot-wire fence. It has just been announced that has Achara tested positive for the deadly EEHV virus. Friends is especially concerned about the stress caused by aggressive incidents because stress can cause the dormant virus to break out, putting Achara’s life at risk. Records also show that Bamboo has been separated from the other elephants overnight at least 46 times from April 2016 through mid-August. This follows the same dysfunctional regiment that Bamboo was subject to at the Woodland Park Zoo. Separation is extremely distressing to highly social animals. Friends warned OCZ of potential integration issues with Bamboo who had already demonstrated incompatibility problems both at WPZ and Tacoma’s Point Defiance Zoo. In transferring Bamboo to Tacoma in 2005, WPZ warned that Bamboo’s “unpredictable behavior” posed a significant challenge in managing elephants as a “herd.” Point Defiance was unable to integrate Bamboo and returned her to Seattle less than a year later. Despite this known history, OCZ accepted Bamboo. Our hearts go out to Bamboo who is experiencing attacks from one or more of the elephants at the Oklahoma Zoo. In a tiny zoo yard, there is no space to flee and escape from an attack. Bamboo is also suffering from serious, captivity-related foot problems and colic. Bamboo has frequently been isolated as a result of these attacks. We call upon the Oklahoma City Zoo to have compassion for Bamboo and retire her to the 2,100 acre Asian habitat at The Elephant Sanctuary in TN. When Seattle’s Woodland Park Zoo transferred its two elephants to the Oklahoma City Zoo last year, officials were optimistic that the animals would integrate well with Oklahoma’s existing herd. Bamboo, the elder female, would become the matriarch. The younger Chai would be an “auntie” to Oklahoma’s young elephants, they predicted. But within a few months, one of Oklahoma’s baby elephants was dead of a viral infection almost certainly passed to her by Chai. A few months later, Chai herself collapsed and died from a combination of emaciation and a systemic blood infection. Now, zoo records show that far from acting as a matriarch, Bamboo has attacked — and been attacked by — the other elephants at her new home. Chai in December 2015 being hoisted up after going down. She lost over 1,000 pounds in 8 months at the Oklahoma City Zoo before dying in a state of emaciation. Oklahoma City Zoo said there were “no red flags”. Friends of Woodland Park Zoo Elephants has filed a complaint with the Oklahoma Board of Veterinary Medical Examiners against the Director of Veterinary Services at the Oklahoma City Zoo, Dr. Jennifer D’Agostino, over the death of Chai. We allege that Dr. D’Agostino was negligent by providing substandard care, disregarding indications of Chai’s failing health, and deceiving the public. We hope that the Board will conduct a thorough and impartial investigation, and take disciplinary action if it’s found that Dr. D’Agostino violated provisions of the Oklahoma Veterinary Practice Act. We have grave concerns for the remaining elephants at the zoo, including Bamboo, who suffers from ongoing, captivity-related medical issues. In this Editorial, The Seattle Times again shows that it has been a friend to the elephants; making sure their plight was heard. Sadly, Woodland Park Zoo, under Deborah Jensen, acted selfishly to keep Bamboo and Chai in the clutches of the zoo industry. Seattle Councilmember Kshama Sawant got an ordinance written that would have directed Woodland Park Zoo to send Bamboo and Chai to sanctuary. Unfortunately Councilmembers Sally Bagshaw and Bruce Harrell voted to stop it. Elephants are highly intelligent, far-ranging animals who suffer and die young in zoos. They succumb physically and psychologically to the lack of exercise confined in tiny spaces, crushing boredom, lack of social interaction and captivity related diseases. At Oklahoma City Zoo the care was apparently substandard and Friends will be taking action. Chai is at peace now—free from suffering at the hands of the zoo industry. At 37, Chai would have been at the prime of her life in the wild, and still bearing calves, but Woodland Park Zoo (WPZ) and now the Oklahoma City Zoo (OKC Zoo) bear the responsibility of another elephant dying prematurely. Chai’s life was filled with trauma, starting with being ripped from her mother at only one-year-old. She was beaten at Dickerson Park Zoo, suffered the heartbreak of losing her daughter, Hansa (6), and endured 112 invasive artificial inseminations. WPZ went against science and the will of the vast majority of Seattle residents by moving Chai (and Bamboo) to the OKC Zoo, another inadequate zoo devoid of any quality of life, rather than retiring her to sanctuary. Zoos must stop incarcerating and breeding elephants into a life sentence of misery. Seattle, WA (November 18, 2015) – This week, Woodland Park Zoo (WPZ) announced that it transferred ownership of elephants, Bamboo and Chai, to the Oklahoma City Zoo and Sri to the St. Louis Zoo. The timing of WPZ’s decision, in advance of a new city council taking office, raises questions about the true motivation behind this sudden and unannounced move. WPZ’s claim that transferring ownership is standard industry practice contradicts the zoo’s own track record. Sri has been on loan from WPZ to St. Louis Zoo since 2002. WPZ has never transferred ownership until now. In this past election, Seattle likely voted in an elephant-friendly City Council. This majority could pass an ordinance, previously introduced by Councilmember Sawant that would order the WPZ-owned elephants to be retired to an accredited sanctuary. WPZ rushed the elephants out of town before it could be voted on. It is disingenuous for WPZ to say that the transfer of ownership “does not mean we will stop caring about them.” The zoo’s own actions indicate otherwise. Instead of retiring Bamboo and Chai to a sanctuary, WPZ condemned them to a life sentence in a tiny yard and a barren barn cell in a freezing climate. Before that, WPZ unceremoniously dumped Sri at the St. Louis Zoo where she is one of 10 elephants on 2 acres enduring the same impoverished conditions as Bamboo and Chai. Sadly, these 3 elephants are at the mercy of Woodland Park Zoo which has ignored science, the majority of Seattle citizens, the Seattle City Council, and most gravely the physical and psychological health of these animals. Seattle citizens are able to find comfort in the closure of Woodland Park Zoo’s elephant exhibit earlier this year. “Friends of Woodland Park Zoo Elephants celebrates that we will never again bear witness to elephants suffering in Seattle,” says Fortgang. Chai (RIP 2016) at WPZ. This pacing is an elephant's way of coping with stress, trauma and boredom. Science and compassion obligate us to release the elephants to a sanctuary. DISCLAIMER: This website is NOT affiliated with or funded by the Woodland Park Zoological Society (Woodland Park Zoo or WPZ). It is an independent website sponsored by the Friends of Woodland Park Zoo Elephants, a project of the Northwest Animal Rights Network (NARN).